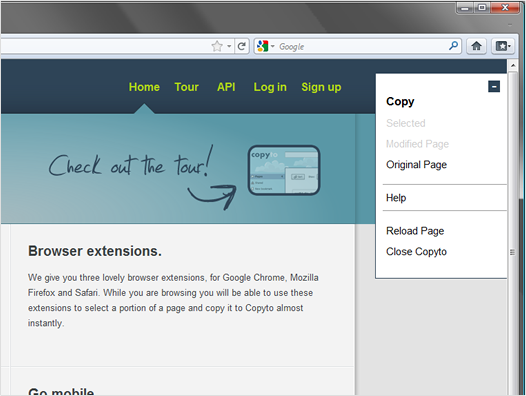 Copyto Firefox add-on provides you the clipping and full page saving functionality in just one button click from your browser. You can download the add-on from here or from the "Tools" section of your account. Please follow these steps to easily configure and start using your add-on. 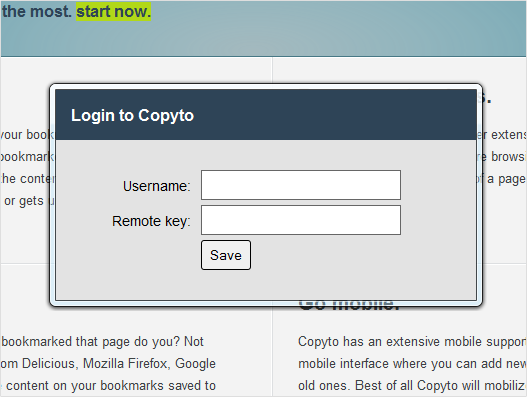 After installing the add-on you can simply activate Copyto by clicking the button on the right bottom corner of your browser window shown below. 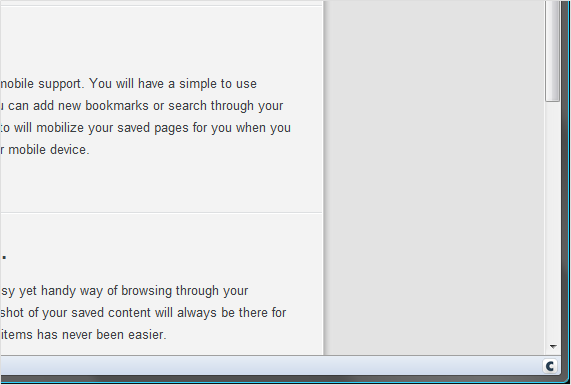 On your first attempt to save a bookmark you will be prompted a pop up window to enter your "Username" and "Remote key" for the add-on to successfully connect to your account. Your credentials will be saved and you will never be prompted again unless you manually erase your credentials from the browser settings. 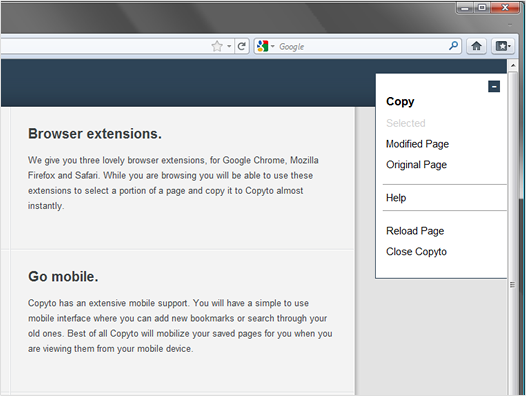 You can select parts of pages, modify them or simply save the full page using the add-on. Hope you enjoy using Copyto!